When R. Larry Todd’s biography, Mendelssohn: A Life in Music, appeared in 2003, it won acclaim from several critics as a definitive biography. In researching Mendelssohn’s life over the last two and a half decades, Todd uncovered much new information about the composer and his music, his family and his peers, and his complex reception history. 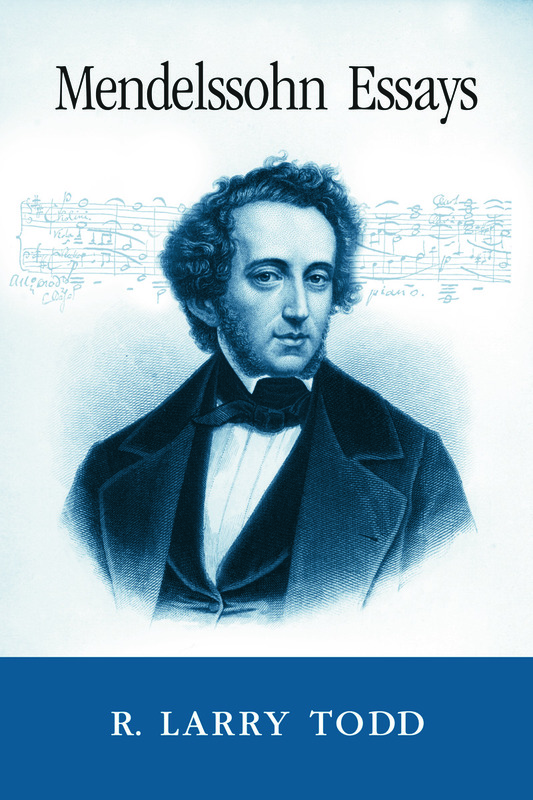 Now, as we approach the 2009 bicentenary of Mendelssohn’s birth, the author has chosen and compiled fifteen essays written between 1980 and 2005, including five previously unpublished, that examine several aspects of the composer whom Goethe and Heine likened to a second Mozart. Mendelssohn Essays explores Mendelssohn’s precocity, his musical impressions of British culture, the role of the visual in his music, his compositional response to Bach’s St. Matthew Passion, and incomplete drafts from his musical estate of three instrumental works. In addition, a group of three essays focuses on the music of Mendelssohn’s sister Fanny Hensel, perhaps the most gifted woman composer of the century, and a significant, complex figure in the formation of the Mendelssohnian style.